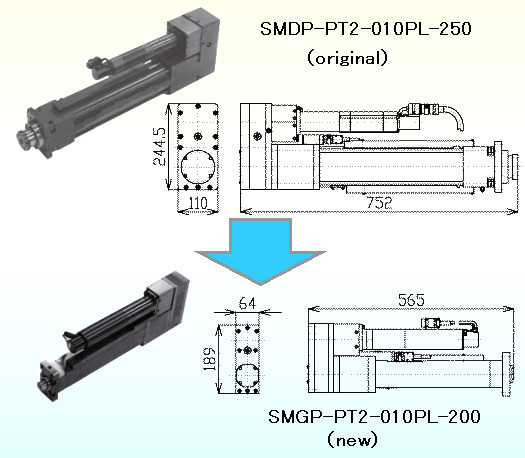 High Performance SERVO PRESS "SMGP"
The size of the press tool has been reduced by 60-90% from our original servo-press and the weight reduced by 40-60%. The height of the driver is 30mm shorter than our original. This lighter, smaller design saves valuable cell space and offers great flexibility. 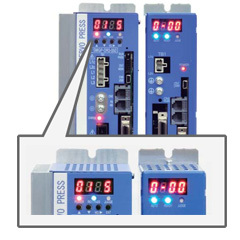 By using the Multi-Controller, the servo press system can save wiring and support field network. Sanyo developed our next generation press with a faster more powerful motor designed specifically for our new generation press tool. Cycle times can be lowered using approach speeds 150-190% faster than our original products. Pressing force is confirmed and verified by load cell for quality and accuracy. Stopping accuracy rated at +/- 2% provides great performance and repeatability making this tool ideal for press-fit depth management. 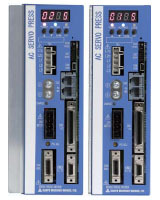 Tried and tested servo control technology combined with high speed CPU enables high accuracy of press control. To ensure outstanding durability, Sanyo servo presses passed a demanding 1 million cycle test, at rated load. All units are tested for functionality and pressing accuracy before shipment. The drivers power supply is divided into control and drive power supply. Therefore, origin return operation after driver power off is unnecessary. This allows for setting up and monitoring when the drive power supply is turned off. 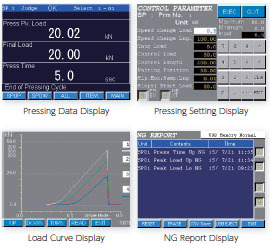 Eight different pressing programs and 32 independent pressing parameters can be pre-programmed for each connected press tool. This flexibility allows for combined pressing methods such as the load with length method. Various pressing options, such as load keeping, are also available. System performs process management and continuous monitoring during the entire process to ensure high-quality pressing. Judgement function detection allows for over 60 pressing errors to be monitored. 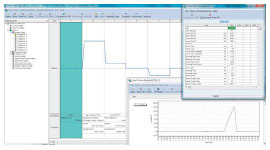 Over 45 items can be selected for end-of-cycle pressing data such as various load, time and length judgments. By using a 7 segment display, pressing judgement and results are easily viewed. 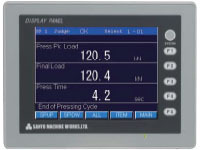 The multi-controller displays program and parameter number during the pressing process. Add the output signal of the "Forward Position", "Position 1 output" and the "Position 2 output". Press data history saves 400 cycles and records the data for 20 load curves in the drive unit. Memory contents can be viewed on the display panel or by use of the Windows based User Interface Terminal Software. 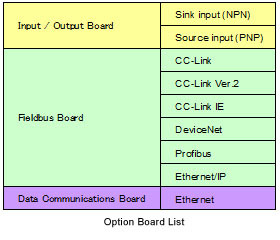 Optional Expansion Unit allows for up to 4 additional option boards for increased flexibility. 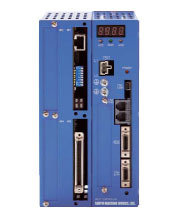 The Multi-Controller has multiple option board interfaces to correspond to various manufacturing systems and global networks. RS232C, USB interface and 1 option board slot come standard. There are multiple display languages; Japanese and English. PLC is able to accept pressing data from this unit. With the use of a high-speed CPU and highly efficient depiction LSI, information is displayed at near real-time. 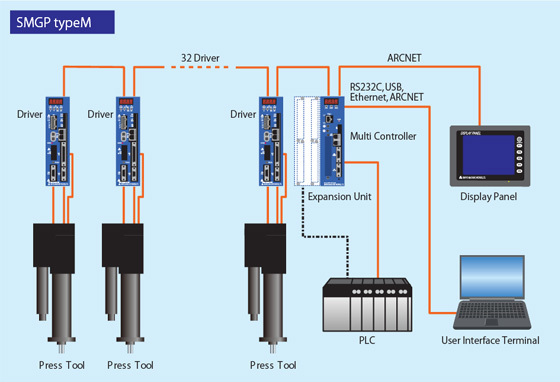 Communicate with a PC via RS232C Serial Communications, USB, Ethernet and/or optional high speed ARCNET unit. Special Servo Press also can be supplied.